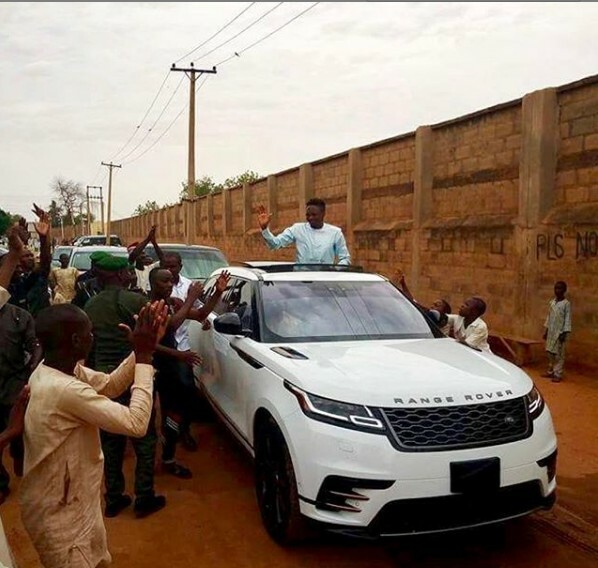 The extra-ordinary kindness of Ahmed Musa, the stand -in- captain of the Super Eagles team - is still the talk of the town in Asaba, Delta state, after he surprised a woman, who came in search of a menial job of N3,000. It was gathered that after training, Ahmed Musa spotted a 3-year-old boy with his mother who was said to have come to the stadium in search of a cleaning job for the one week (March 22 – March 26) the team would be in Asaba and the pay is said to be about N3,000 per day. Immediately Ahmed Musa saw the kid, he picked him up and played with him before taking him into the team bus. After some minutes, he beckoned on the boy's mother to come as he reportedly interacted with her and collected her details. Moments later, the woman received a text message and screamed which attracted the people around. She got a credit alert of N250,000 from Musa while she was expecting to be paid N3,000 for the menial job.